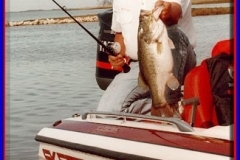 This soft spoken, good natured, Lake Conroe guide has earned quite a reputation for consistently catching large bass. In fact he is almost solely responsible for the recent trend on the lake to disallow guides from competing in local fishing tournaments. 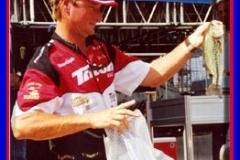 Over the past eight years of participating in and writing about tournaments on Lake Conroe I have learned that, of the local guides, Skip Regan consistently weighs in more big bass. 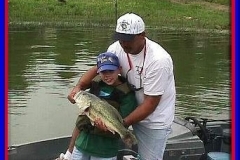 Several years ago I was fortunate enough to learn, first hand, through fishing a series of tournaments on the lake with Skip that he has a gift for catching big bass. As though through some special sense, he manages to throw to just the right tree or bush where that special fish will be. 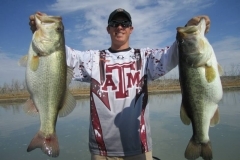 Even when fishing an area of the lake that he was unfamiliar with he still managed to pick the right spot to throw his bait to find that big one. 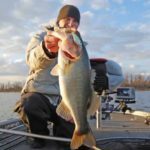 He is primarily a worm or jig fisherman but is versatile enough to adapt to fishing conditions and will use whatever type of lure necessary to catch fish. 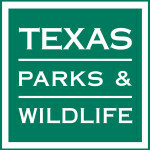 For six years Skip fished several tournament circuits including, Anglers Choice, Western Bass, US Bass and Lone Star Bass. 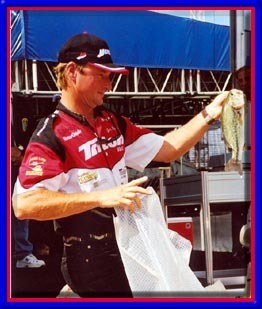 In 1986 he finished well enough in US Bass to qualify for their Classic. He is sponsored by Loch Ness Marina, Stanley Jigs and Mud Bug. 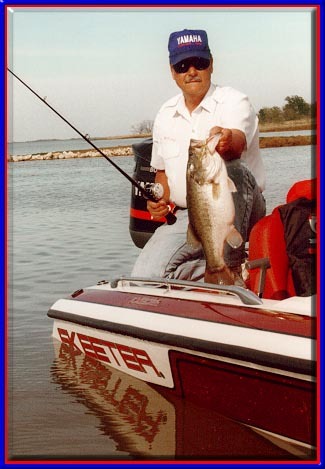 Skip started guiding on Lake Conroe about 8 years ago at Loch Ness Marina, on the north end of the lake. 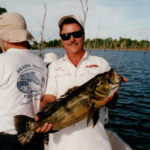 Since that time he has developed a very good reputation with his regular clients as well as other local fishermen. As well as being able to put you on fish he has a good sense of humor and is a pleasant person to spend the day with. 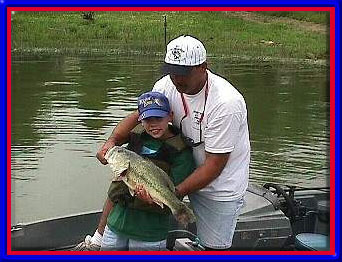 Skip has taught his son Mike some of his tricks for catching big bass. 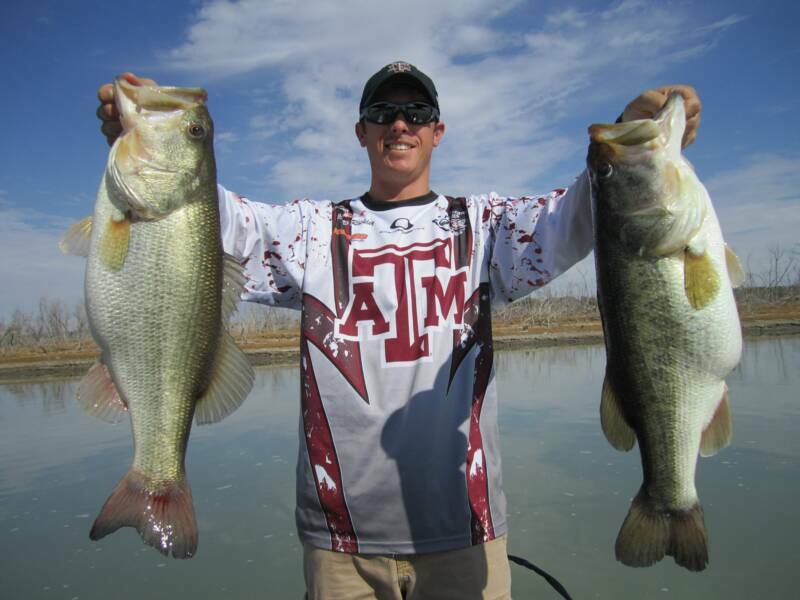 Mike fished a series of tournaments on the lake this summer and caught quite a few big fish himself. He and his partner, Hank White, finished 7th out of several hundred competitors to qualify for the Classic and then won the Classic by 5 pounds. Earlier this summer Skip injured his arm in a boating accident. I am happy to report that he is recovering well and will probably regain most of the use of his arm. I hope to see him on the lake again soon. 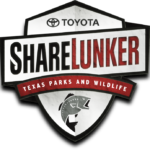 September, October and November often provide the finest fishing of the year on Lake Conroe and this would be a good time to book a trip to get in on this exciting action. Check with Loch Ness Marina (409-856-4524) to find out when Skip will be back to guiding on Lake Conroe or just to wish him a speedy recovery.